Professor Daniel Bienstock first joined Columbia University's Industrial Engineering and Operations Research Department in 1989 and became a joint faculty member in the Department of Applied Physics and Applied Mathematics in 2008. Professor Bienstock teaches courses on integer programming and optimization. Before joining Columbia University, Professor Bienstock was involved in combinatorics and optimization research at Bellcore. He has also participated in collaborative research with Bell Laboratories (Lucent), AT&T Laboratories, Tellium, and Lincoln Laboratory on various network design problems. Professor Bienstock's teaching and research interests include combinatorial optimization and integer programming, parallel computing and applications to networking. 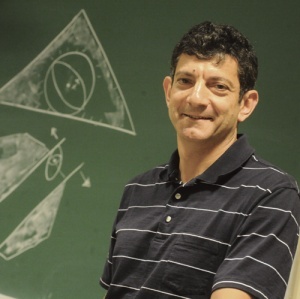 Professor Bienstock has published in journals such as Math Programming, SIAM, and Math of OR.